In my last legacy Public Switched Telephone Network (PSTN) post I covered Statistical Time Division Multiplexing (STDM). In this post let's take a look at Wavelength Division Multiplexing (WDM and DWDM) methods. As bandwidth requirements continue to grow for both the legacy Public Switched Telephone Network and the emerged Internet/IP network most of the high bandwidth backbone transmission is being done with fiber optics and a method called Wavelength Division Multiplexing or WDM. WDM functions very similarly to Frequency Division Multiplexing (FDM). With FDM different frequencies represent different communications channels with transmission done on copper or microwaves. WDM uses wavelength instead of frequency to differentiate the different communications channels. Light is sinusoidal in nature and wavelength, represented by the Greek letter lambda (λ) is a distance measurement usually expressed in meters. 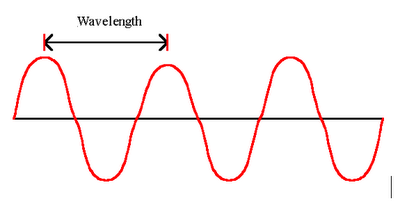 Wavelength is defined as the distance in meters of one sinusoidal cycle. 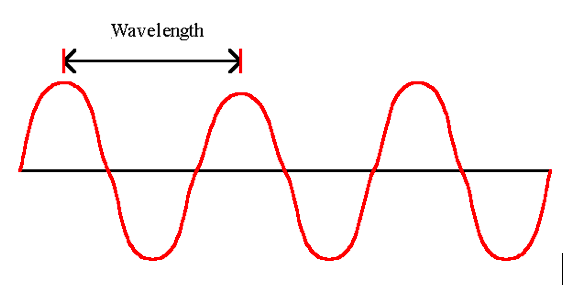 Wavelength indicates the color of light. For example, the human eye can see light ranging in frequency from approximately 380 nm (dark violet) to approximately 765 nm (red). WDM multiplexers use wavelength, or color, of light to combine signal channels onto a single piece of optical fiber. Each WDM signal is separated by wavelength “guardbands” to protect from signal crossover. One of WDM’s biggest advantages is that it allows incoming high bandwidth signal carriers that have already been multiplexed to be multiplexed together again and transmitted long distances over one piece of fiber. In addition to WDM systems engineers have developed even higher capacity Dense Wavelength Division Multiplexing (DWDM) systems. Just this past week, Cisco and US Signal announced the successful completion of the first 100 Gigabit (100G) coherent DWDM trial. As backbone bandwidth requirements continue to grow these WDM and DWDM systems are significantly reducing long haul bandwidth bottlenecks.